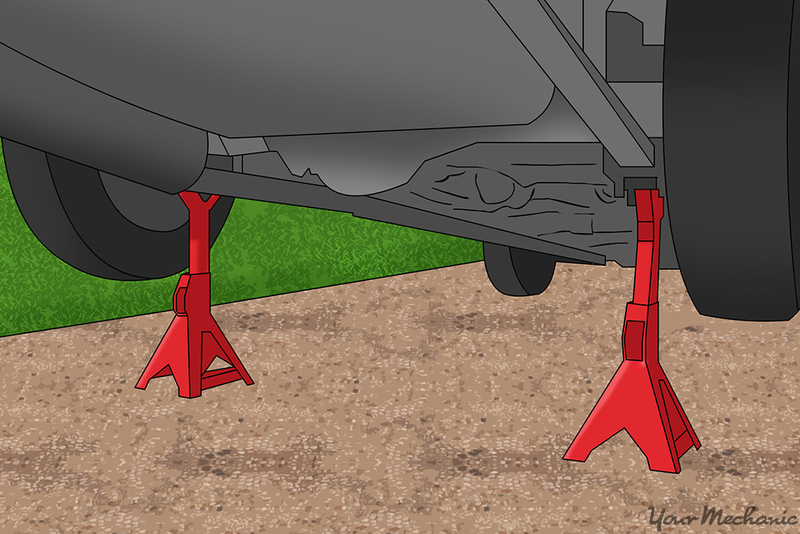 Jack stands are important tools that keep a vehicle propped up after having used a floor jack, like a scissor jack or a hydraulic jack, to lift a vehicle. 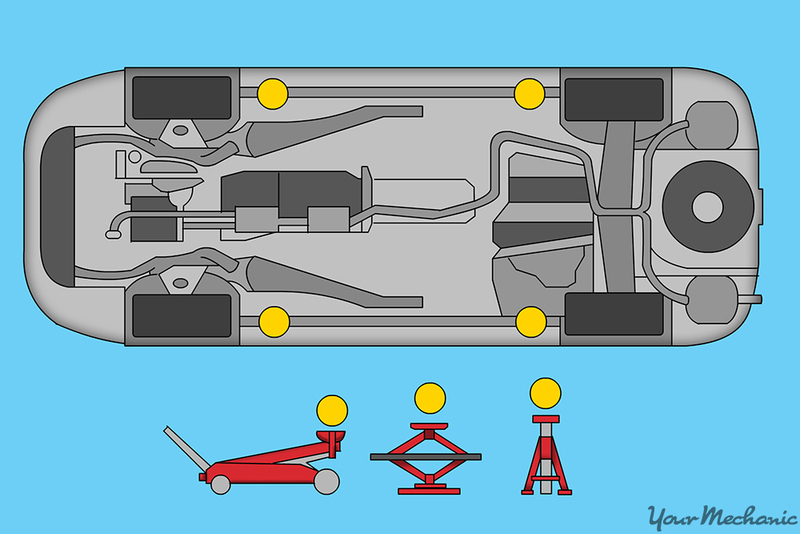 Once the vehicle is lifted enough to fit the jack stands on a solid part of the car underneath it, like the chassis, they can be carefully fitted and tested by hand for sturdiness, at which point the jack can be removed. Once the jack is removed, the vehicle can be tested again for sturdiness. If the vehicle is sturdy, you can begin whatever work needs to be done on the vehicle. 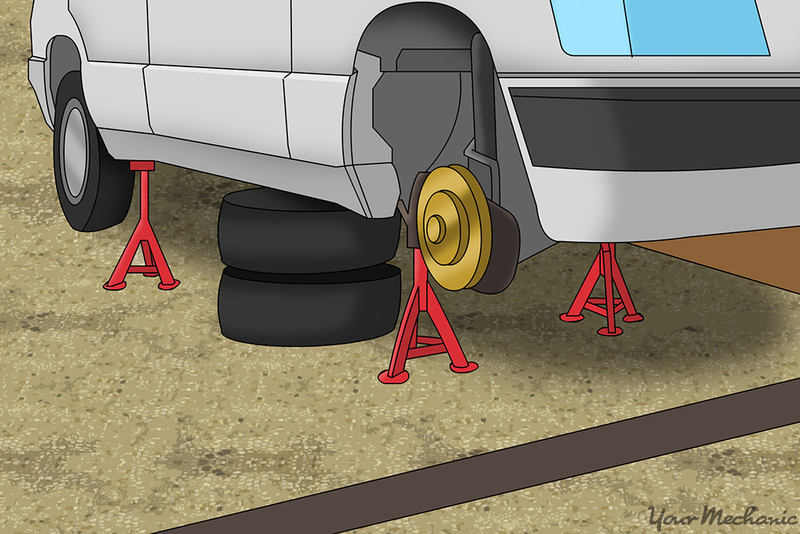 Knowing how to use jack stands properly is the difference between completing routine maintenance or repairs successfully, and undergoing what could be a disastrous accident that has the potential to be fatal. 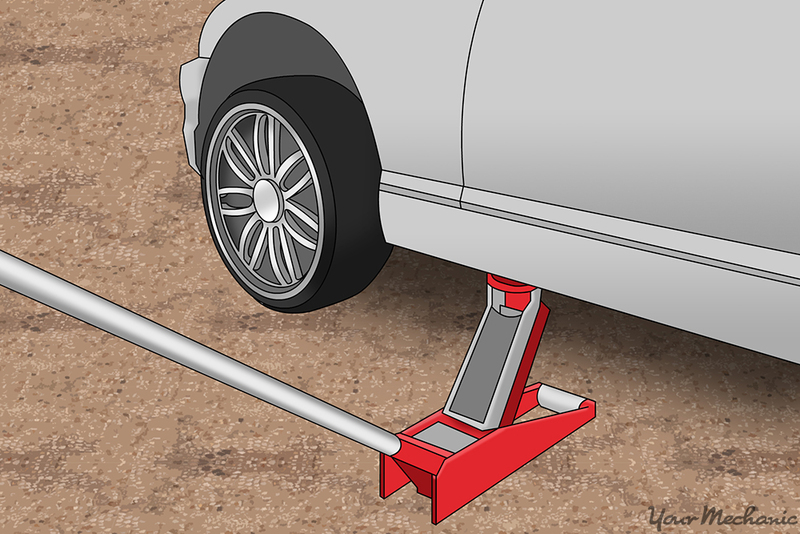 Follow the steps below to learn how to properly use a floor jack and jack stands. Step 1: Park on a solid surface. 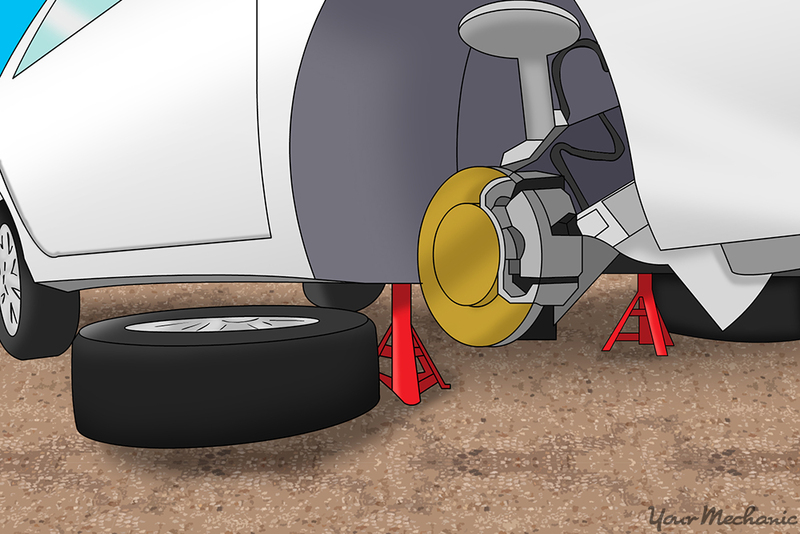 Make sure your vehicle is parked on a flat concrete surface and that the conditions of the floor on which you will be using the jack stands is solid and free of debris. This will ensure that the jack stands will stay in place. Warning: Do not, under any circumstances, attempt to jack up a car on an uneven surface or on a soft surface like grass or dirt. The consequences could cause severe injury, and it also has the potential to be fatal. Step 2: Set the parking brake. 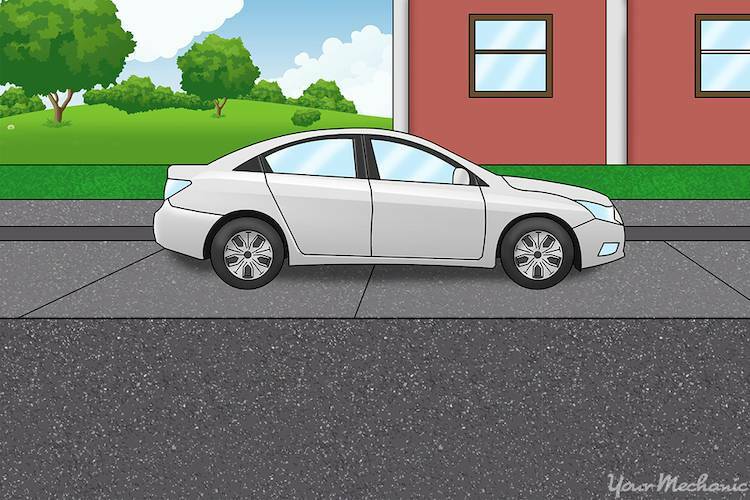 When you park the vehicle, make sure you use the parking brake and that it is fully engaged. Step 3: Use wheel chocks. Depending on what end of the vehicle you’re working on, place wheel chocks on both sides of the tires at the end of the vehicle you will NOT be jacking up. Wheel chocks ensure that the vehicle will not roll when you jack it up. 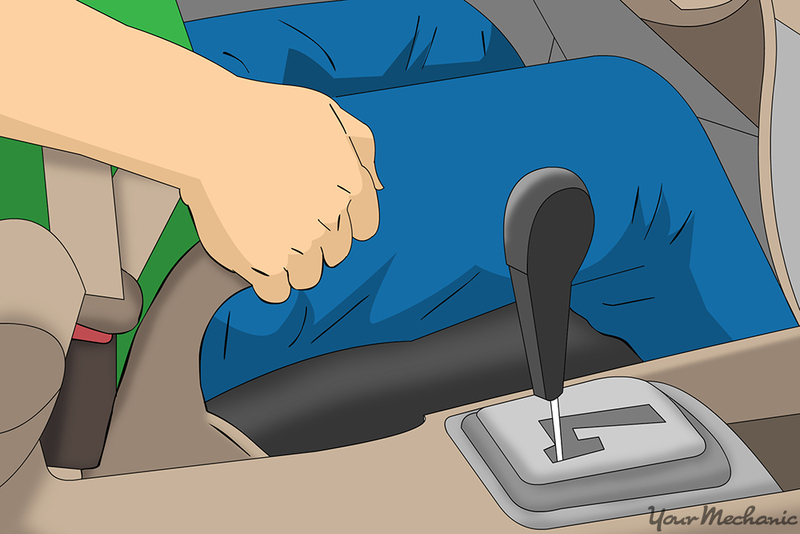 This is especially important if you’re working on the back end of the vehicle, which is most likely where the parking brake is located. If you lift the back end of the vehicle, the front wheels can still roll, so always apply wheel chocks to the wheels before using a floor jack. Step 4: Test the floor jack and look for defects. 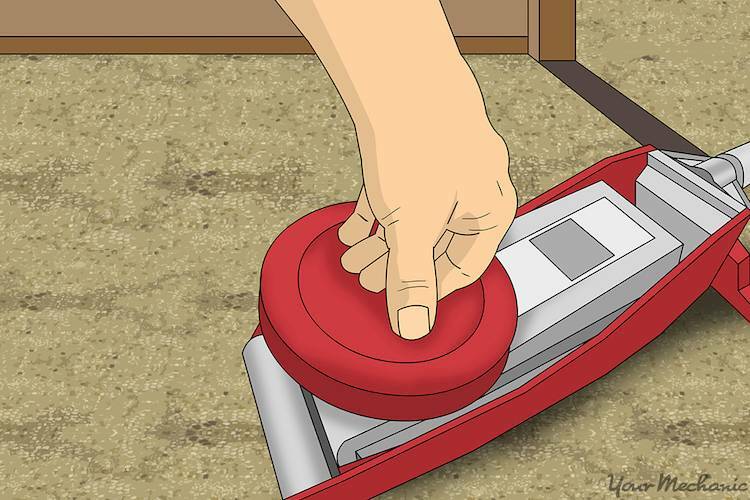 Test the floor jack with your foot or hand before using it to make sure it engages and disengages properly. Make sure it raises and holds and that it releases effectively. Inspect the floor jack and the jack stands for noticeable defects, and make sure that the handles on the jack stands work properly. Step 5: Check the owner’s manual for your vehicle’s jack points. Before using the jack stands, check the owner’s manual for factory approved jack points. Jack points are areas underneath the vehicle that are designed to be strong enough to hold the weight of the vehicle when the vehicle has been lifted. Step 6: Use the floor jack to hoist the vehicle. Whether you have a scissor jack or a hydraulic jack (preferred), place it under one of the recommended jack points outlined in the owner’s manual. Lift the vehicle high enough for the necessary maintenance or repair job you need to accomplish. Step 7: Place the jack stands under the vehicle. Take two jack stands and adjust them to the proper height. Then fit them underneath the recommended jack points outlined in the owner’s manual. Make sure they fit relatively tightly underneath the jack points and that the surface they are resting on is solid, flat, and free of debris. If it is not, adjust the floor jack as necessary to place the jack stands safely underneath the jack points in a manner that meets all safety specifications. Test the jack stands with your hand to make sure they are secure. Step 8: Remove the floor jack. Once the jack stands are in place, slowly release the floor jack and set it aside. Lightly nudge the vehicle to make sure the jack stands stay in place before you start working and, of course, before you situate yourself underneath the vehicle. 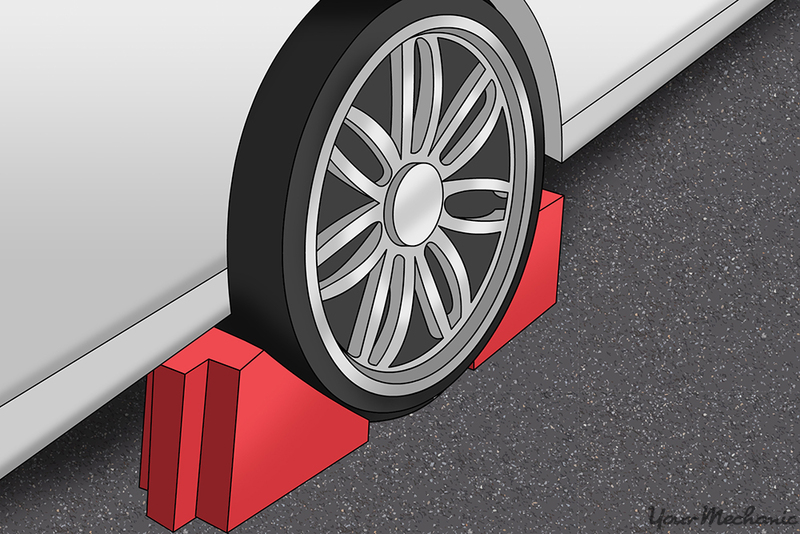 Tip: You can take other precautionary or preventative measures to protect yourself while you’re working by placing wooden blocks underneath the car on a solid surface near or on the jack points, just in case the jack stands fail. Never use material that could be crushed under the weight of the car, such as cinder blocks or bricks. Always remember that using a floor jack and jack stands properly means paying close attention to your work surface. Under no circumstances should you ever put yourself at risk by trying to work on an uneven or potentially soft surface, and keep in mind that soft doesn’t necessarily mean soft to the touch. Warm asphalt could potentially be considered soft, especially when the weather is hot. Doing a job well means doing a job safely. Once you are able to use a floor jack and jack stands properly and safely, though, you will be able to complete a number of routine maintenance tasks and repairs on your vehicle yourself. If you’re ever in doubt about how frequently to perform some of these tasks or have questions about the current health of your car, you can look up your vehicle manual to find out more about when it needs to be serviced. Or, if you find that you are at all uncomfortable servicing or repairing your car yourself, you can always contact one of the certified technicians at Daks Toyota for help at your home or office.